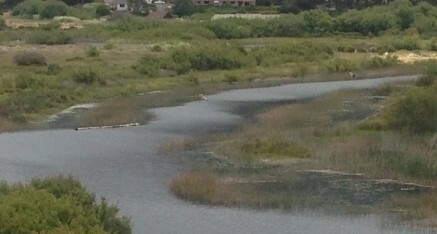 In 2004 the Carmel Lagoon Enhancement Project was completed. 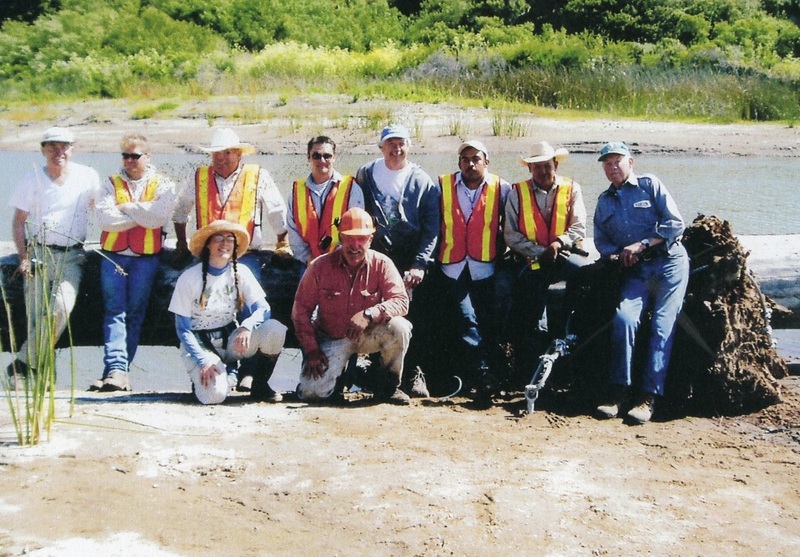 This project greatly expanded the size of the lagoon by creating a south arm to the lagoon, but the new south arm had no cover or habitat for steelhead. CRSA elected to take on this problem and started Phase I of a Large Woody Debris project. It is well known that large wood in a river or lagoon provides protection from avian predators, affords daytime protection from solar radiation and offers considerable benefits to the ecosystem food chain. While some bankside cover would have developed naturally, large wood and structures in the center of the lagoon had no way of being recruited. 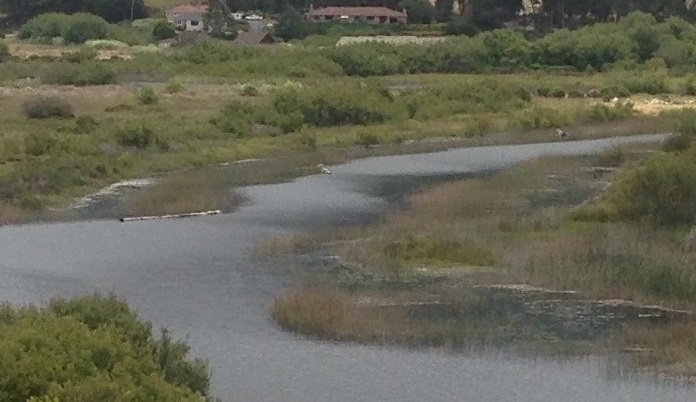 Considering the Carmel River Lagoon is the most important habitat in the lifecycle of Carmel River steelhead, it was at least beneficial if not imperative that this newly created habitat be as good as possible as soon as possible. With the pledge of $25,280.00 in matching funds CRSA was able to obtain a grant of $6,540.00 from NOAA Restoration Center and additional federal funding of $1,200.00. This money was used to create six large woody debris structures strategically placed in the south arm. Each structure created 200 square feet of overhead cover for steelhead, or 1,200 square feet in total. The structures were placed so they would each provide a 100-foot radius of “burst speed” protection from avian predators. (Burst speed is the maximum speed a small steelhead can achieve and 100 feet is the maximum distance small steelhead can maintain that speed.) In all, the six structures allow steelhead to utilize 90,000 square feet of the lagoon free from danger. Countless agencies, businesses, and individuals contributed to this project. None were more generous than Gary Paddock and his Carmel Valley Construction who donated over $55,000.00 of construction effort. If you want to see the original press release which listed everyone who contributed click here. After two years of planning, engineering, and gathering of materials CRSA was ready to build and install the structures. 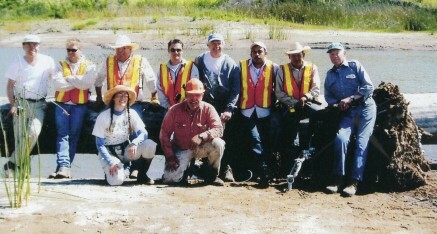 In all, 22 large redwood root balls, 9 large 40-foot 3.5 foot diameter logs, 16 large swamp anchors, 4 swamp anchor extensions, 1500 feet of three-quarter inch galvanized cable, 40 tons of granite boulders and 250 cable clamps were used with the actual in-lagoon construction taking only 6.5 hours. If you look at the south arm of the lagoon you can see the above water part of these structures and visualize what is under water. These six structures are working as well today as in 2006 when they were built.